Should we eliminate the Electoral College and elect our president by popular vote? 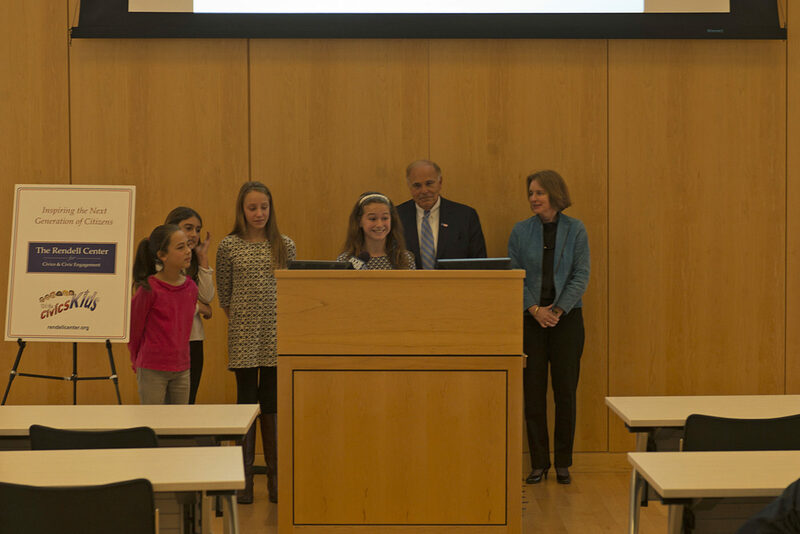 For the fourth annual Lenfest Citizenship Challenge, the Rendell Center for Civics and Civic Engagement invited Philadelphia-area 4th and 5th grade classes to write civics essays, focusing this year on the presidential election and the Electoral College. Former Pennsylvania Gov. 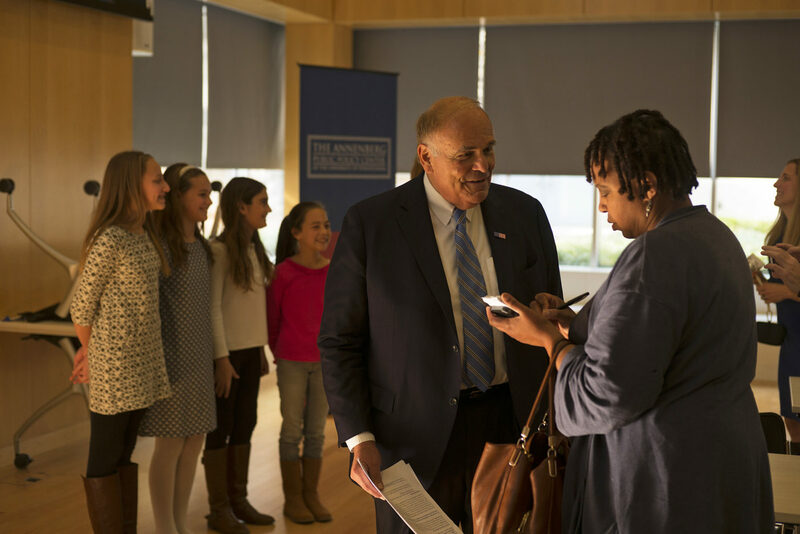 Ed Rendell announced the top 10 finalists on November 16 at the Annenberg Public Policy Center. This year’s challenge question was: “Should the Constitution be amended to eliminate the Electoral College system for selecting the President and replace it with the national popular vote?” The contest was open to 4th and 5th grade students in public, private, and parochial school classes and home-study programs in the Philadelphia area (Bucks, Chester, Delaware, Philadelphia, and Montgomery counties). More than 100 essays were submitted, about 60 percent of them advocating elimination of the Electoral College. Former Gov. 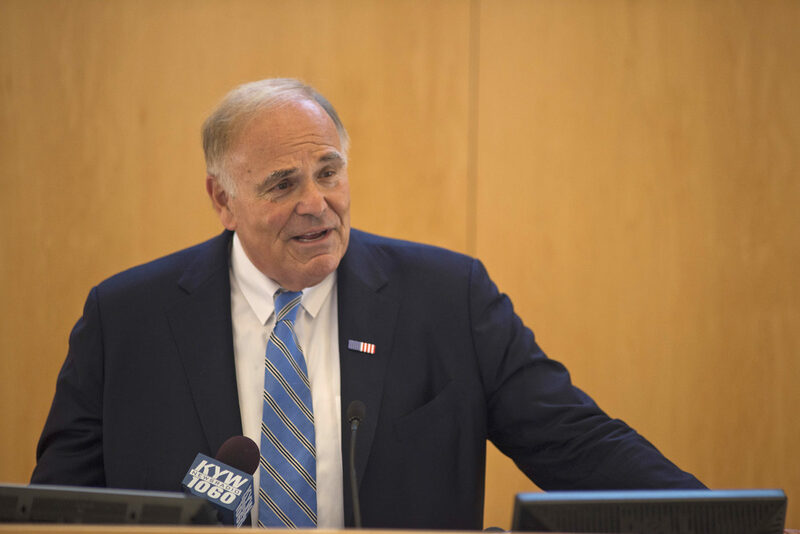 Rendell noted that “A democracy only works if we have an involved and informed citizenry,” stressing the importance of educating young students in civics. He expressed how impressed he was with the students’ responses given the complicated nature of this “topical issue.” Some of the essays, submitted prior to the November 8th election, even predicted that Republican Donald Trump would win the Electoral College while Democrat Hillary Clinton would win the popular vote, which appears to have happened. On hand for the announcement was a group of 5th grade finalists from Radnor Elementary School who explained their thinking and the process that went into the essays. The students all agreed that they did not know anything about the Electoral College when the topic was announced, and had to supplement what they learned in class with their own research in order to figure out where they stood on the issue. See below for a list of the finalists, who will present their essays to a panel of judges, including former Gov. Rendell and Judge Marjorie O. Rendell, at the Lenfest Citizenship Challenge Finals on December 13, at the National Constitution Center. Former Gov. Ed Rendell is interviewed by NBC10’s Erin Coleman. 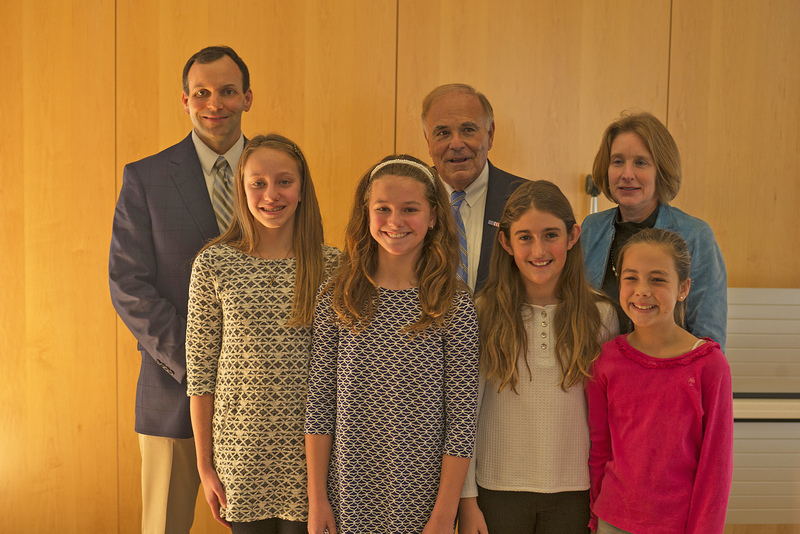 Radnor 5th graders (front l-to-r) Sophia Mlodzienski, Mallory Toomey, Gabriela Heberling and Lydia Schwarz with (back) Radnor’s Jim Kearney, former Gov. Rendell, and the Rendell Center’s Beth Specker. Former Gov. 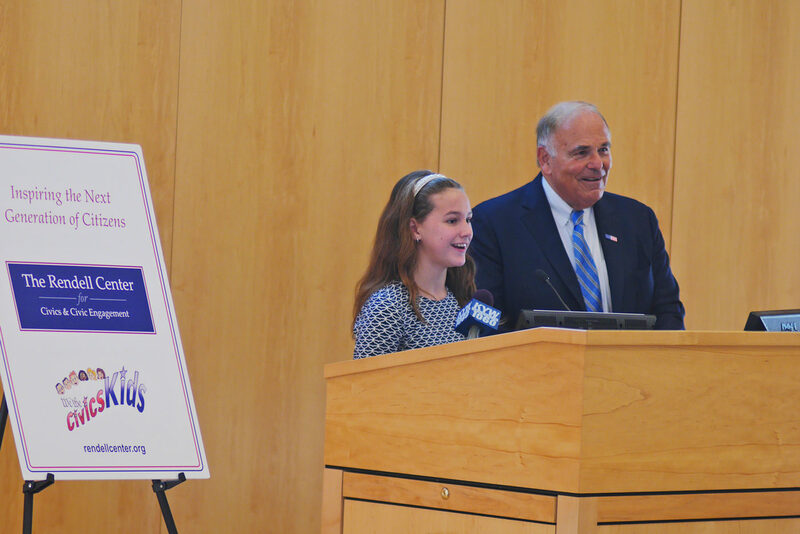 Rendell announces the 2016 Lenfest Citizenship Challenge finalists. Former Gov. Rendell and Radnor 5th grader Mallory Toomey. Former Gov. 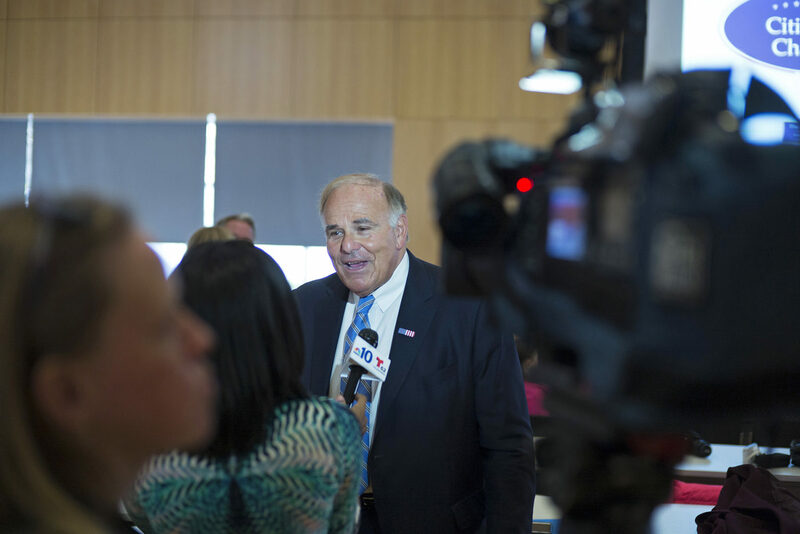 Rendell speaks with reporter Valerie Russ. 5th graders from Radnor Elementary (l-r) Lydia Schwarz, Gabriela Heberling, Sophia Mlodzienski, and Mallory Toomey, with Former Gov. Rendell and Beth Specker.